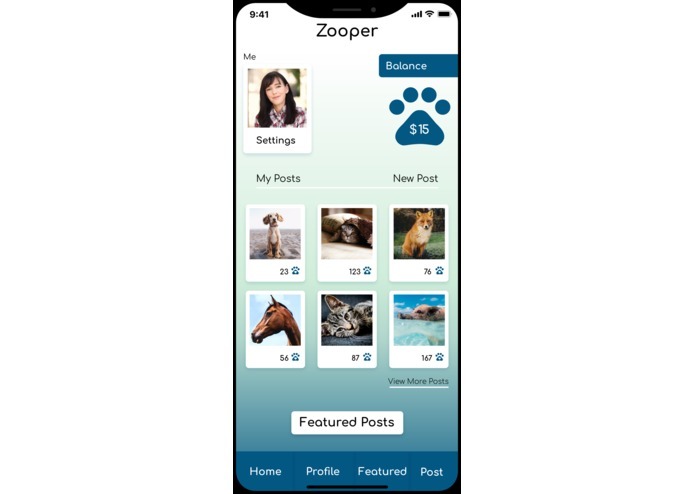 Love for animals and a desire to create a better social media experience led us to build this app. 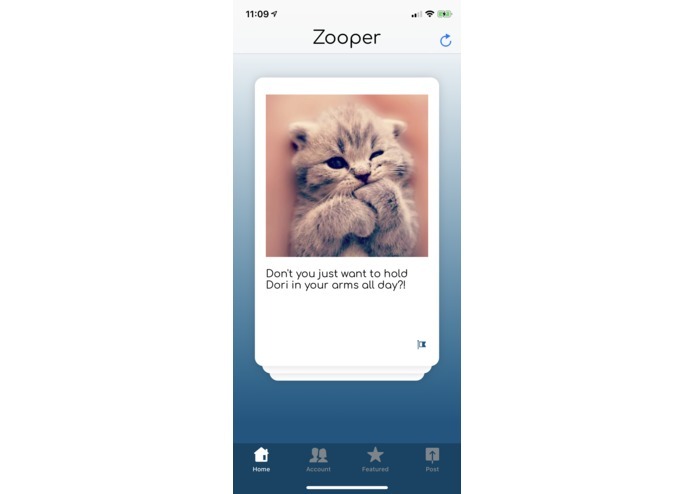 Zooper allows users to view hundreds of adorable animals and incentivizes posters with cash prizes. 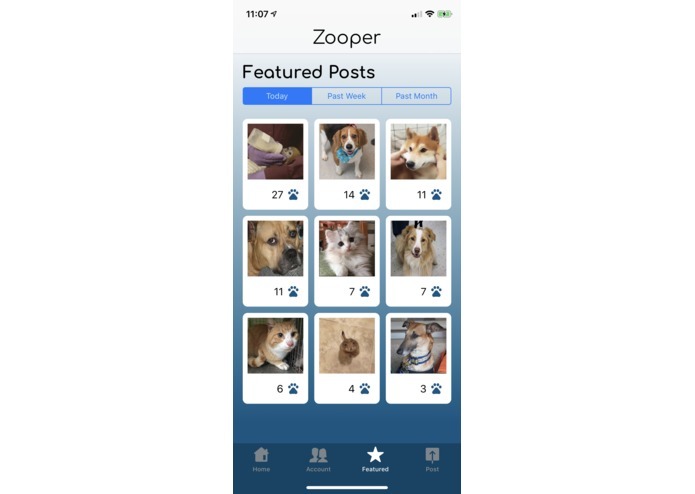 It also allows for animal shelters to post pets that are available for adoption and links users to those pages. 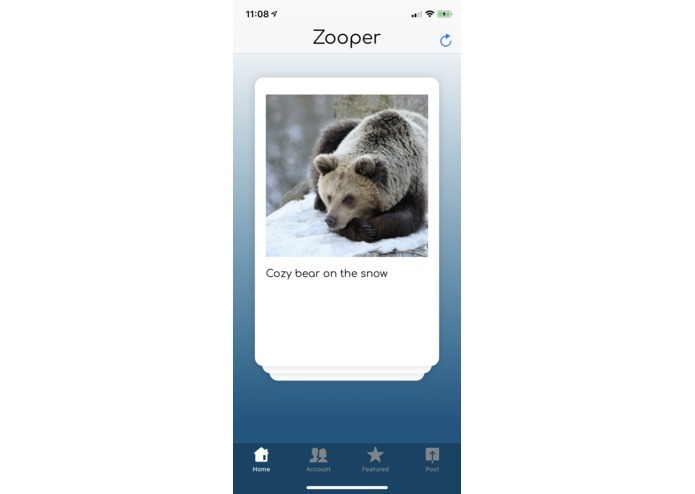 We built this using Xcode and Swift for iOS app. The backend API is served with a Python Django server with GraphQL communication to users. Getting posting up and running ended up being too difficult so we were forced to manually add posts to our server. Several other challenges were GIF support, clean animations, and asynchronous loading, but we managed to resolve all of those. We are super proud of the clean user experience in this app. We really wanted to look great and be fun to use and we think we succeeded 100%. 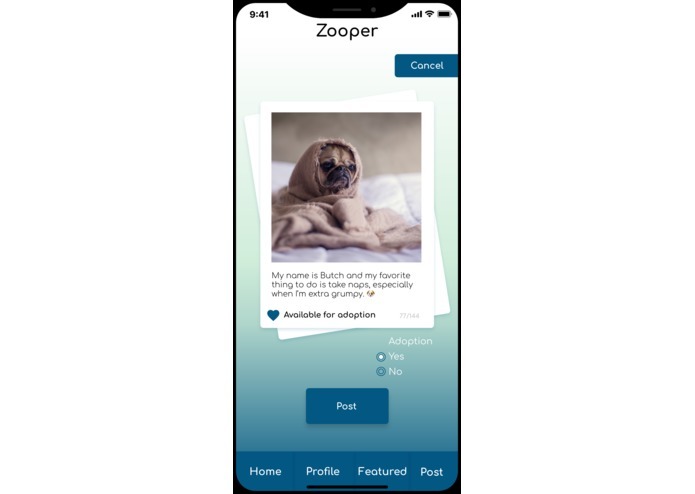 We learned a lot about how to make an IOS app look and feel good. We also learned a ton about connecting an IOS app with a server. 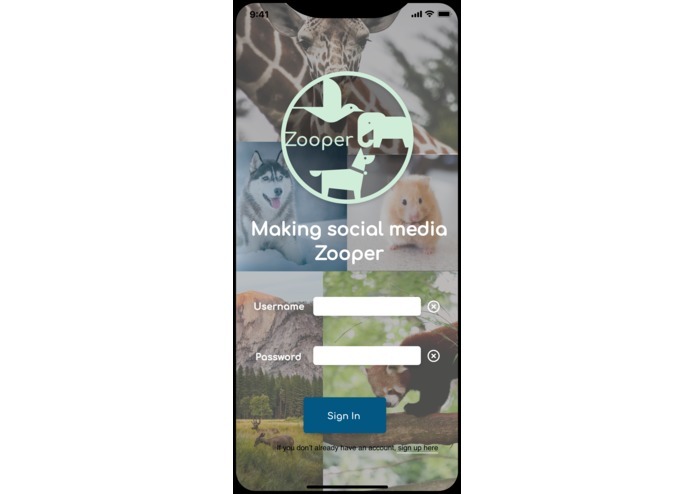 We'd love to continue working on Zooper. 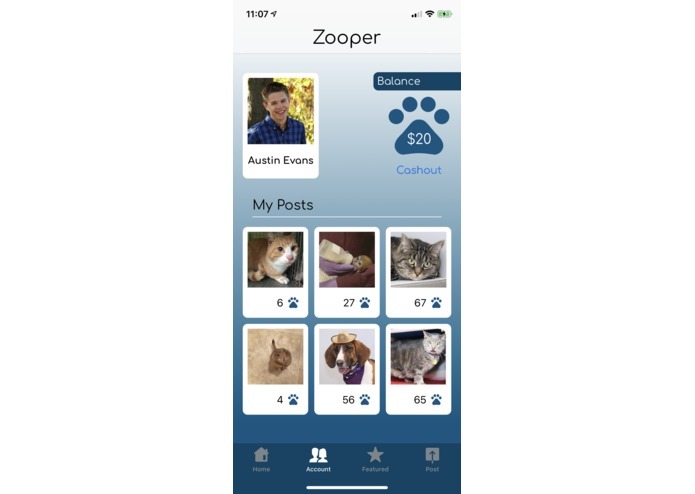 We would really like to fully finish up the upload, user, and payout systems, as well as create an android application. Developed the iOS app in Swift. Wrote Django web server with GraphQL for communication with client. Worked on GIF support, Asynchronous loading, and did some of the front-end work. I did the front-end work and created the logo and app icon. 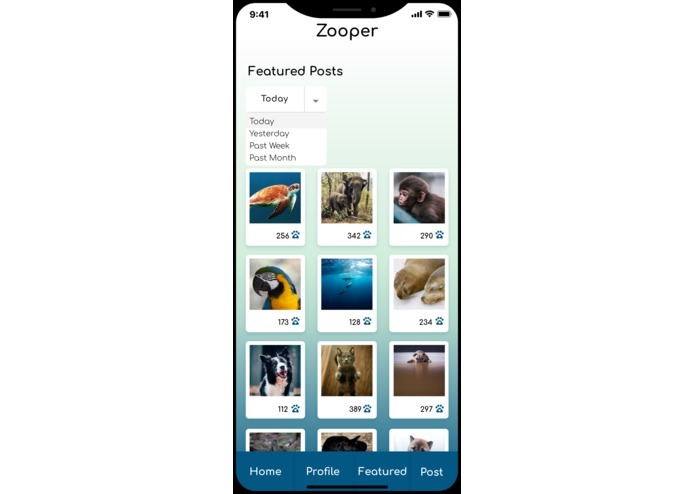 I also created the finalized mock-up of Zooper.